Customer experience is constantly evolving as new products and technology are introduced, but nothing has changed it more than social media. Instead of brands just talking at customers, social media puts the power back in the hands of the customers and gave them a voice to share their experiences. Social customer experience opens huge opportunities for companies to build relationships with their customers, but it also changes the strategy of how brands communicate. 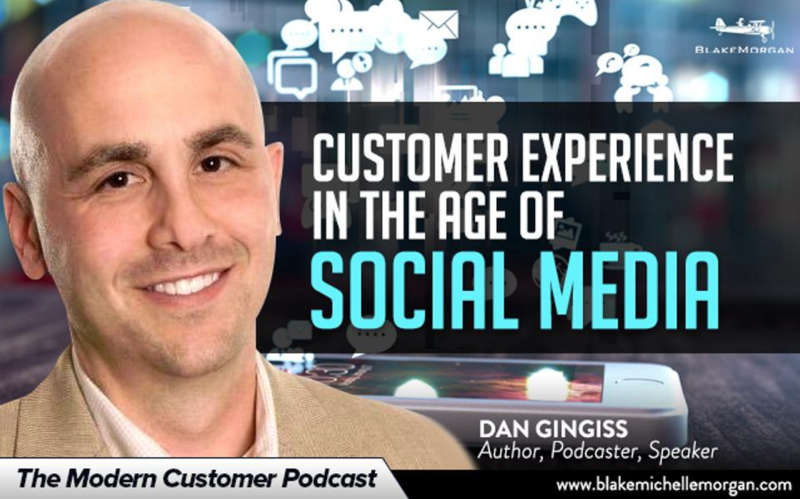 According to podcaster and author of the new book Winning At Social Customer Care: How Top Brands Create Engaging Experiences on Social MediaDan Gingiss, customer experience is how people feel about every interaction they have with a company. However, it used to be more siloed, where offline experiences stayed offline, but thanks to social media and smartphones, everything can be brought online. A customer who has a bad experience at a store or restaurant can quickly take a picture or video of the incident and share it on social media, which can create a firestorm of negative publicity for the company. Conversely, positive offline experiences can also be shared and lead to great growth for a brand. To truly take advantage of social media, brands need to focus on the positive elements. There may always be mistakes and negative experiences, but focusing on the positive encourages customers to do the same. In order to harness the power of social media for customer experience, brands need to create a culture of putting themselves in the customer’s shoes by walking through their store, website, or service with the eyes of a customer. Observing every little thing that happens from a customer’s point of view can be eye-opening for employees about the challenges and roadblocks in the path and what it means to be a customer of your company. Having a company-wide mindset that matches the customer’s helps every employee extend their reach. The key to a good customer experience is fluidity — no matter if the interaction happens online or in store, everything should be smooth for the customer and work together to create a cohesive experience for them. Social media also opens the door for brands to be more authentic and transparent. Modern customers can see right through automated responses and canned replies; the best way to reach out to people is to take the time to connect with them to truly build a relationship. Instead of simply focusing on sales and getting through the customers as quickly as possible, the most effective companies take time to nurture each relationship and stick with the customer until they are satisfied. This can be done by simple things like addressing customers by name, mimicking their tone, and using a personal touch. Customer experience has changed greatly with the growth of social media, and it plays an important role in reaching out to customers and starting a conversation with them. As we move towards the future, customer experience will become the last true differentiator between brands, meaning it is more important than ever to provide customers with a high-quality, seamless experience.